We offer three comfortable cottages, fully equipped for housekeeping, with lovely views of St. Ann’s Bay. Our central location makes an ideal home base for exploring the island and then returning to relax on your cottage porch and watch the sunset over the bay or enjoy an outdoor meal in the serenity of your private yard. 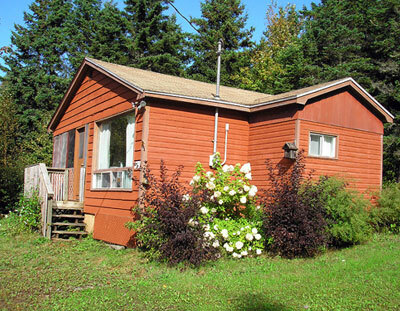 The cottages are situated in a lush, picturesque area of historical interest on 28- forested acres just below Kelly’s Mountain in the heart of Cape Breton. We’re close to many attractions such as: the Cabot Trail, the Gaelic Music College, Baddeck Village, the Alexander Graham Bell Museum, the idyllic St. Ann’s Bay Artisan Route and a seasonal swimming beach and golf-course.